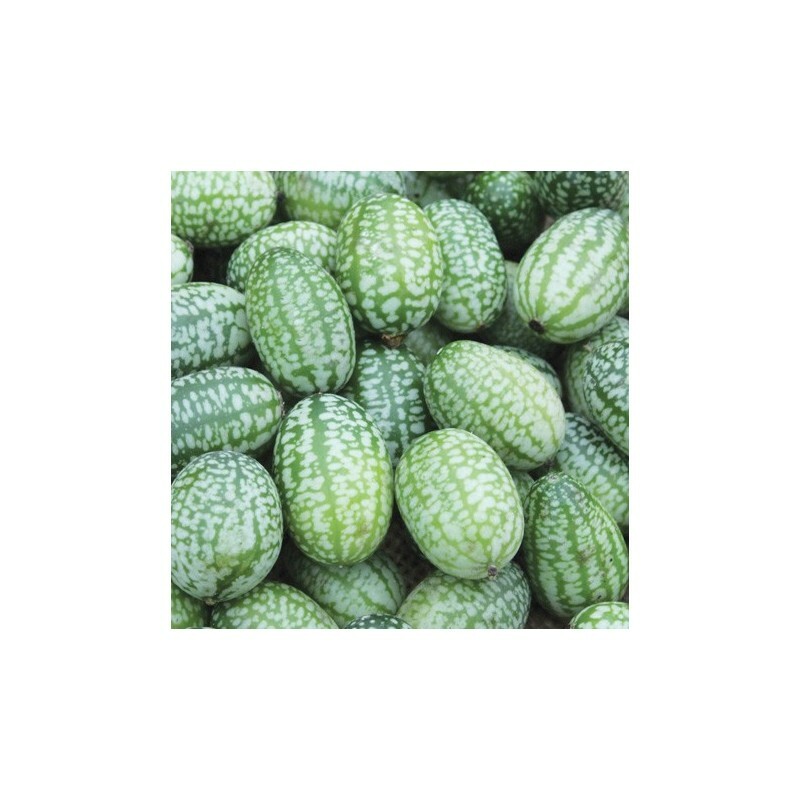 We call them cucamelons here in the UK but these actually are Mexican Sour Gherkin or Mexican Miniature Watermelon. 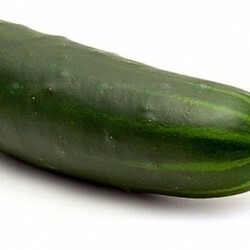 The fruits taste just like cucumber with a hint of lime. 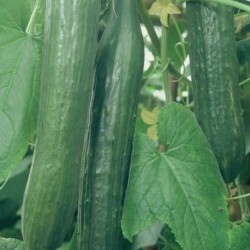 Vigorous vine produces masses of fruits. Easily grown outside. The plants will need some support to grow up on. 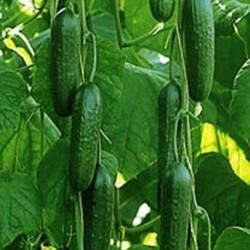 Use them in pickles, fresh summer salads etc. 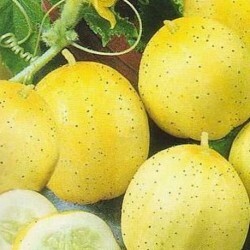 Sow the cucamelon seeds under cover from April - late May, about 2 cm deep in fine seed compost indoors. Sow 1 seed per small pot/seed cell, and keep the compost moist. Germination takes about 7-10 days at about 17-20 Celsius. Transplant into bigger pots when large enough to handle and keep inside until the last chance of frost has passed. Prefers sunny location and well drained, rich soil. Grow in the greenhouse or in a very warm, sheltered spot in your garden, allotment. Water well during growth and feed regularly for the highest production.